Much of Tad’s love for music came from the home. His Father was head of the local High School Music Department then moved to the college level. His Step Mother was in the Rochester Philharmonic as a Violinist. Tad grew up in Moorestown, a quaint little town in South Jersey near the shore. His early playing career consisted of local bands, original projects and plenty of studio work. He produced concerts for his college and worked with major touring acts like Billy Joel, Bonnie Raitt, Little Feat, Hall and Oats and many more. This gave him a well rounded education in the world of music production. 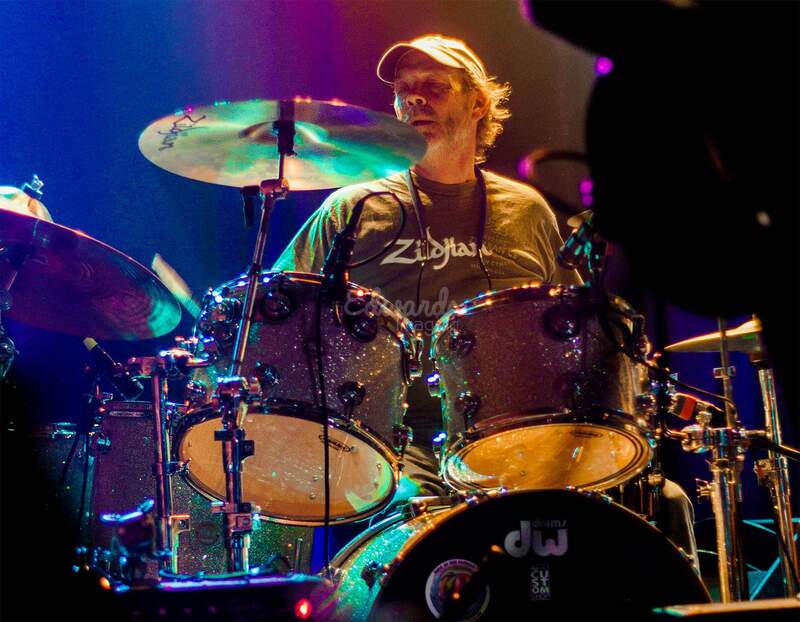 Tad founded and played drums in Hotlanta, an Allman Brothers Tribute Band based in the Philly area. Soon they were the band to see in the Mid-Atlantic region. Tad was invited to attend Butch Truck’s Music Camp in the Catskills. He went back every year religiously, and soon it paid off. Back in 2015, Butch invited Tad to join the Freight Train Band . He spend the next year and a half touring the USA playing next to his drum idol. Tad was told by Butch he was the only other drummer to tour and play with him besides Jaimoe, thus the name “other other drummer” was coined . Tad loved that . Of course Butch played with many other drummers but long term tour in a band was his explanation . Tad listened and learned from Butch, Jaimoe, Mark, and others. The result is a mix of all three but clearly a concentration on Butch! Tad was Butches personal Drum tech also helping Marc Quinonez from time to time . Tad and Legare Robertson Founding Music founded D R E A M S as a one time show honoring Butch Trucks . The band was so good IT just had to continue . Thus … We have D R E A M S B A N D !